Please join us at 11:00 am (School of Geosciences, Madsen Building, Room 449) on Tues Oct 4th as we will have a guest presentation by Associate Professor Alex Bastos (Universidade Federal do Espírito Santo) on the recent Brazilian dam disaster. This should be a fascinating talk and of broad interest across the school. Tailing dams are still a very common storage facility used in terrestrial mines. An increase in very serious failures have been registered in the past two decades, causing unacceptable deaths, significant losses and severe environmental impacts. We have investigated the oceanographic impacts caused by one of the largest tailing dam failure of all times around the world. The so called Mariana Disaster (Minas Gerais, Brazil) happened in November 2015, when a dam failure dumped 50 million m3 of iron ore mining waste in a catchment area (Doce River watershed). 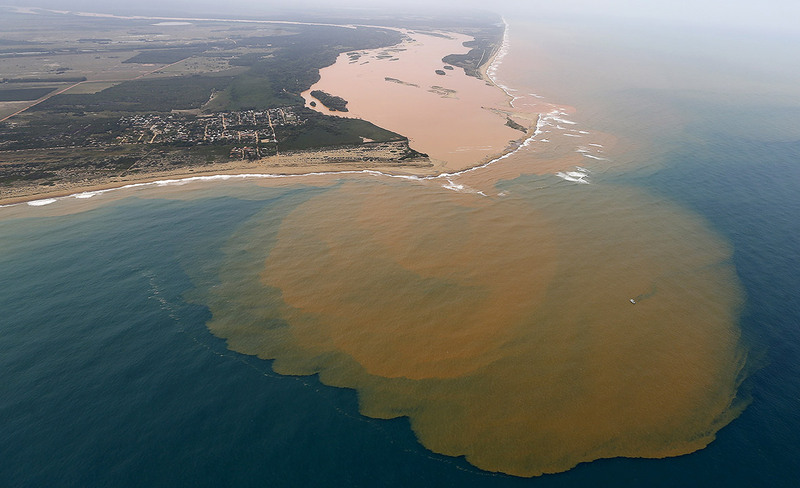 The high concentrated mud slurry traveled for 663km down the river, reaching the river mouth two weeks after the breach. We have investigated the immediate impacts on coastal physical and biological processes. Please join us tomorrow (Tues, 11:00 am, Madsen Building) for a special GRG seminar. All welcome.